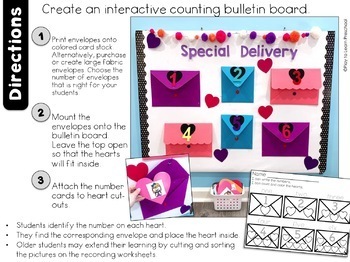 Interactive Bulletin Boards are more than just a classroom decoration! They are a versatile, vertical, very awesome learning center. 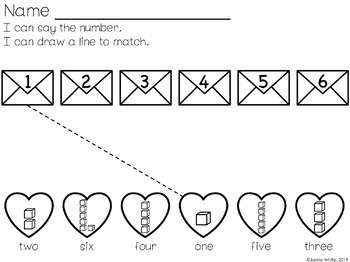 Use this "Valentine's Day Counting" bulletin board with your students to practice number recognition, subitizing, and counting to 12. 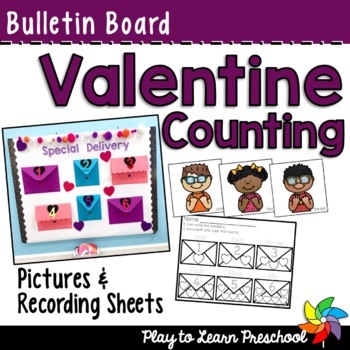 Includes the pictures and pieces to create a bulletin board as well as 5 recording sheets for students to color, trace, and write the numbers.